Maker studio building projects ranging from individual objects to full interiors. 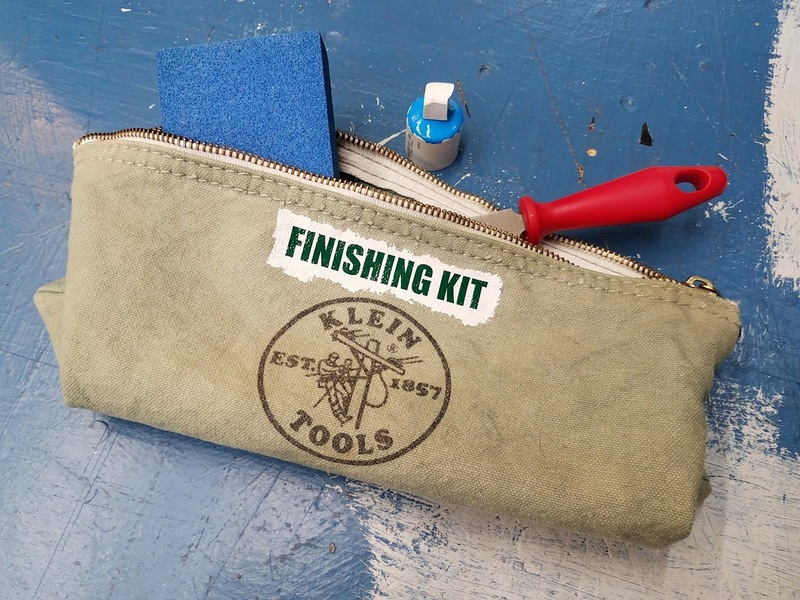 We love canvas tool bags for small parts. You know, the ones that Klein makes for electricians. On the plus side - they're durable as all-get-out (read: you can get them used and score a great deal) and breathable as weather changes (read: tools stored in them don't need a desiccant packet to stave off rust). Pretty much everything we look for in a good bag. 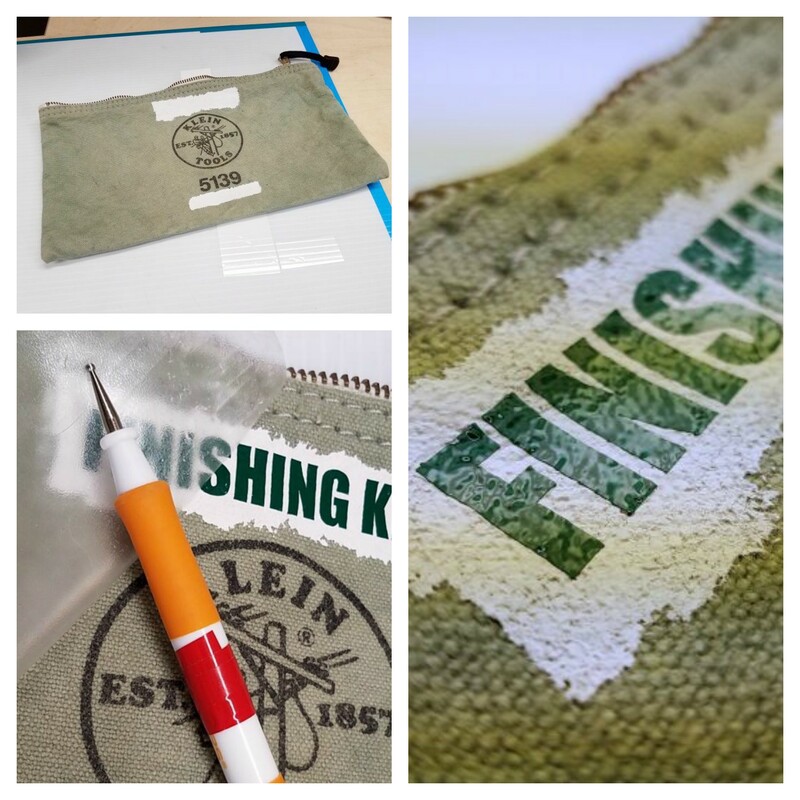 The down side - used bags often come with sharpie-crafted owner's marks or other text, and canvas is annoyingly absorbent (read: the sharpie writing is darn tough to cover up). Being good scientists (as is required of a modern maker), we thought we'd launch an experiment in how to best renew the bags we recently rehomed to the shop. To be fair, we've been toying with this issue off-and-on for some time. We've tried paint pens and Bish's Tear Mender as cover-ups with marginal long-term results. Today, we launched into latex exterior house paint. It makes a great cover-up when applied thickly with minimal brushing and is liquid-resistant when dried (read: it can take a dose of Rapid Tac for extra vinyl-to-substrate adhesion). Here we've painted over prior owner marks (they dyed the untreated bag to cover dirtiness), applied Rapid Tac to to the painted surface, and burnished the new sign-vinyl-based label into place. So far, so good. The paint is flexible enough to conform to the canvas and the vinyl is flexible enough to stay with the movement of the paint. Now on to the durability test! Send us a virtual shout!